Breakfast for dinner is always a very popular meal in my house and this lemon blueberry pancake recipe was a huge hit. Making pancakes from scratch is incredibly easy. Don’t get me wrong…I resort to prepackaged baking mix every once in a while but I much prefer to make them without it. This homemade pancake recipe is loaded with fresh ingredients. The combination of lemon and blueberries is delicious and takes only a few minutes to put together. So, why should you make homemade pancakes rather than use a mix? Making pancakes from scratch means YOU control the ingredients! A lot of the ingredients I used in this pancake recipe were organic, which is not always an option when you start from a prepackaged baking mix. Freezing pancakes allows you to make a ton of homemade pancakes ahead of time. 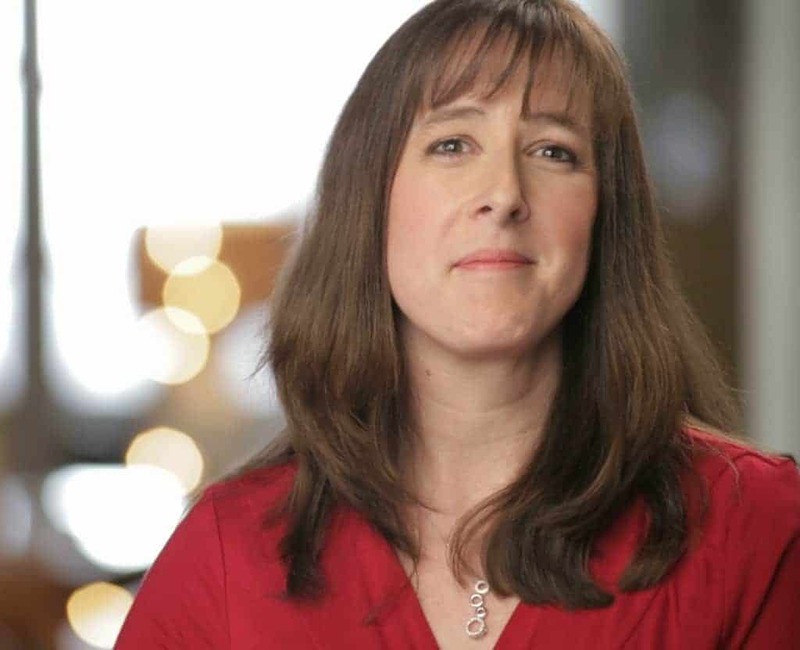 This will save you time and money in the long run. Freezing pancakes isn’t hard. Just place a sheet of wax paper between each lemon blueberry pancake and stack together. Wrap the stack of pancakes tightly in aluminum foil or place inside a heavy-duty freezer bag and freeze. Use the frozen pancakes within 1 to 2 months for best quality. How do you reheat frozen pancakes? Place your frozen pancakes on a microwave-safe plate. Microwave uncovered on high for about 1 to 1-1/2 minutes, or until heated through. I prefer using a conventional oven to reheat frozen pancakes. Just place frozen pancakes in a single layer on a cookie sheet and cover with foil. Then, bake in a 375°F oven for about 8 to 10 minutes, or until hot. Love homemade pancakes? 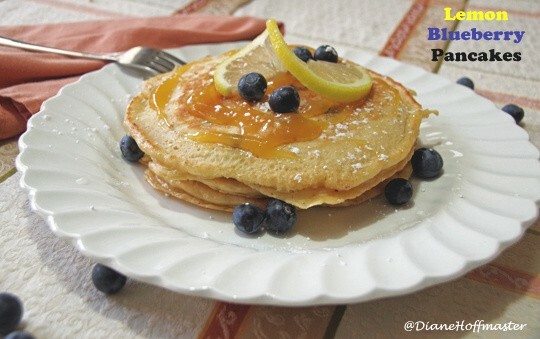 Make this lemon blueberry pancake recipe! 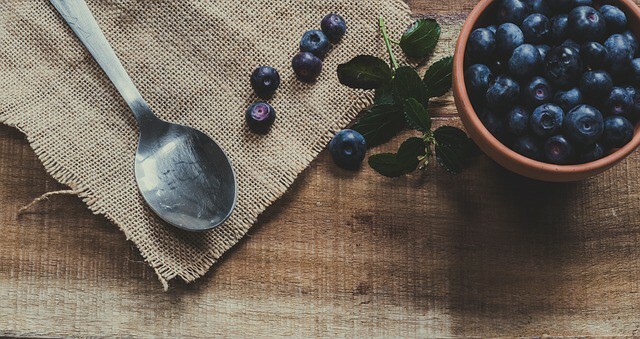 The flavor of lemon and blueberries is delicious and takes only a few minutes to make. In a medium bowl, combine eggs, yogurt, milk, lemon juice and zest. Whisk briskly to combine. Pour the wet ingredients into the dry ingredients and whisk until well blended. Sounds like a delicious treat to me! Thanks for the recipe! These look delicious, there is nothing like homemade pancakes made with butter! I agree...there is no substitute for real butter! That looks amazing! I'm going to try this recipe! These look so good! 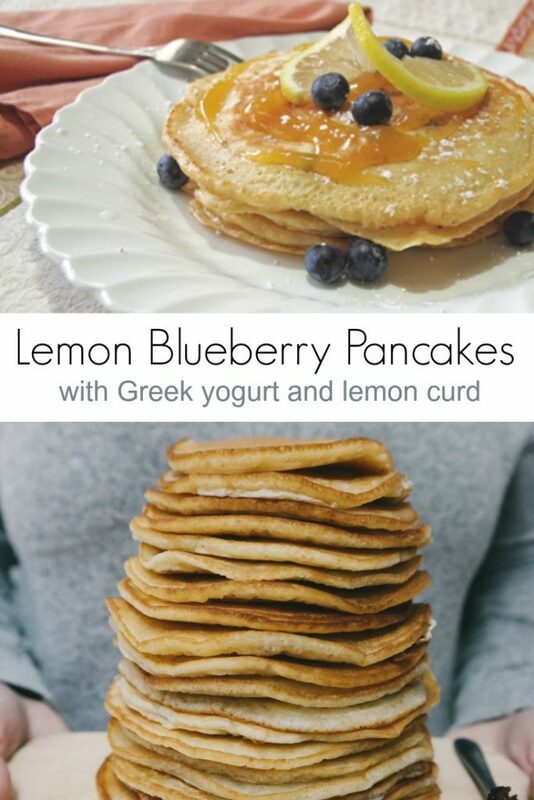 I love blueberry pancakes, but have never tried them with lemon too! Those look tasty. I can imagine having a plateful of them with some strawberries and cream.